Making carpet since 1975, Norman Ellison are the experts. 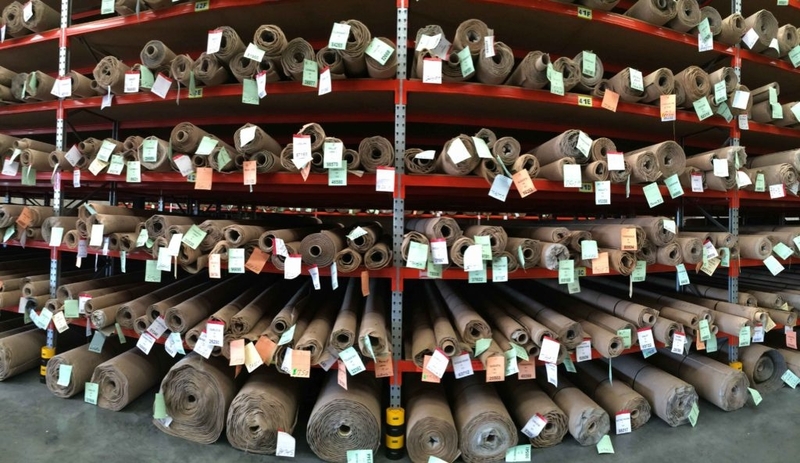 Offering some of the best carpets in Australia without compromising on quality, style, or value, their huge selection includes options to suit every home. Norman Ellison has grown to service both New Zealand and Australia. With warehouses across Australia including locations in Melbourne, Sydney, and Yatala, Brisbane. The team at Norman Ellison turned to MACRACK when they started to increase the production of their business and required more space and storage capacity. MACRACK introduced them to a carpet rack system, perfect for their storage needs. 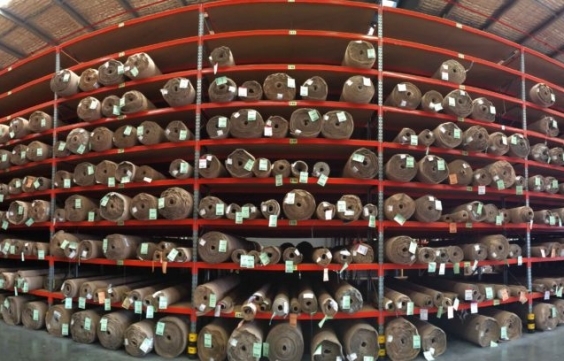 This system allows full rolls of carpet to be stored in a shelving system, maximising capacity and encouraging better organisation. 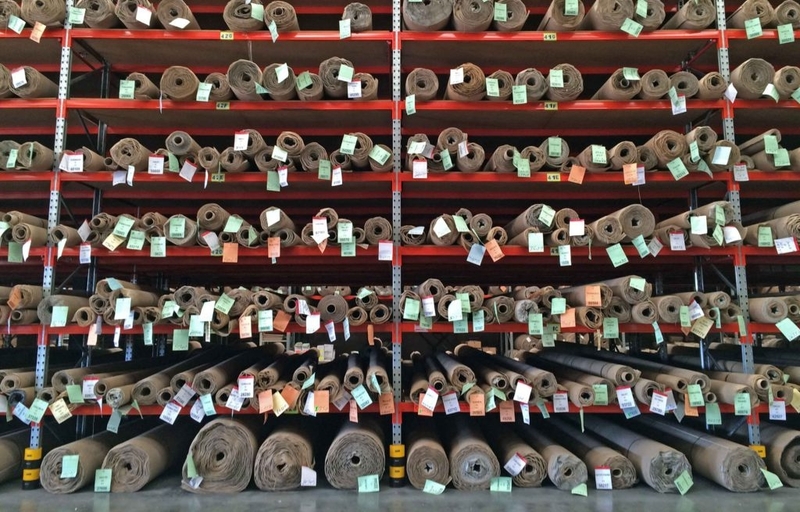 A carpet rack system is a pallet racking derived storage solution, creating large shelves to hold many rolls of carpet on each level. 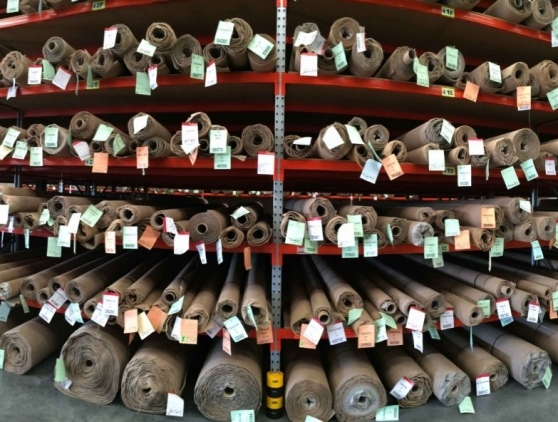 Using a forklift with a spike to pick up the rolls, you can place a full depth roll of carpet (4m) into the rack with it being completely supported as the shelf is 4m deep. MACRACK worked closely with Norman Ellison to design their warehouse to best suit workflow and operations. We spent a lot of time considering the layout and how to best utilise the space, keeping critical issues in mind such as forklift reach height, aisle way clearance, and separation of product. We planned the layout for Normal Ellison in CAD format so all parties involved had clear foresight as to how the end solution would look. 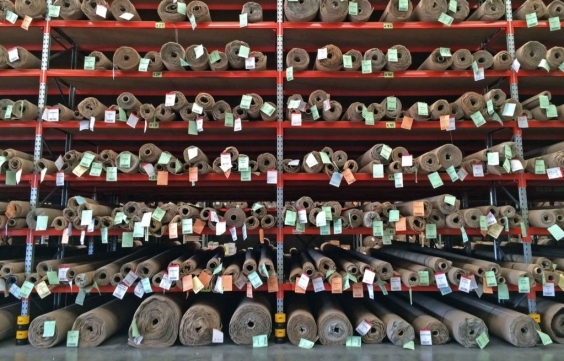 Norman Ellison Carpets now enjoys the perfect warehouse storage system for their business, and the lifetime warranty MACRACK provides for every client. While some other companies only offer a 1-2 year warranty on their products, our lifetime warranty reflects the high-quality product we deliver. When you’re considering a racking solution for your business, don’t settle for imported racking with a substandard warranty. Choose Australian-made MACRACK, and be confident in your decision. Our continued post-sale service ensures that your racking system is maintained and always safe to use. Call us on 1800 048 821 for your free quote today.